Bob Stagner just completed an artist residency for Borderless Arts at Dawn school under a contract with the John F Kennedy Center for the Performing Arts. Dawn School is a very special environment . No student had any previous musical training and very limited experience with an arts project. 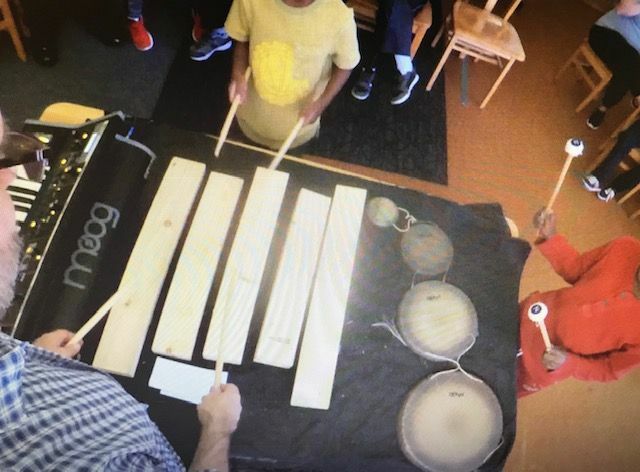 Students were encouraged to create simple sounds,rhythms,short improvisational/compositional pieces dedicated to the planets.